You don’t need to be an executive to make a decision on this suite with separate living room and full-size galley kitchen. 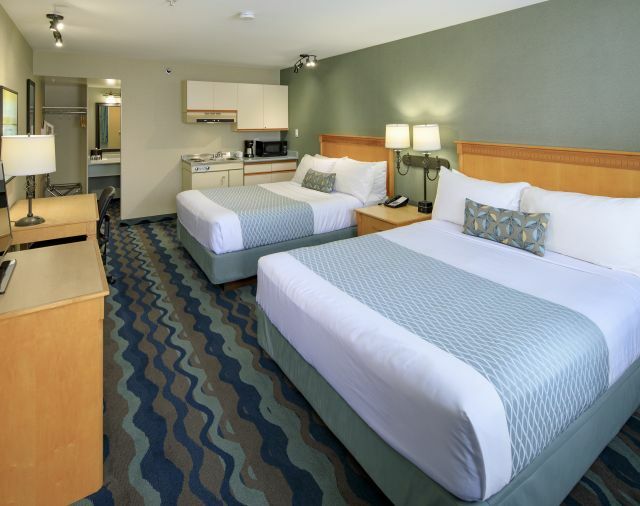 Separate the juniors from the seniors with this suite that includes a living room and sofa bed. Book these accommodations now and you can be king of the world—and this hotel room. 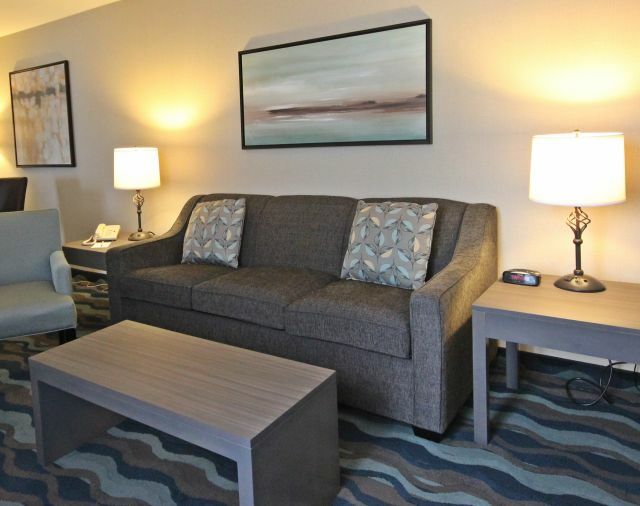 With a separate living room, kitchenette, and sofa bed, you could say this is a pretty sweet set-up. 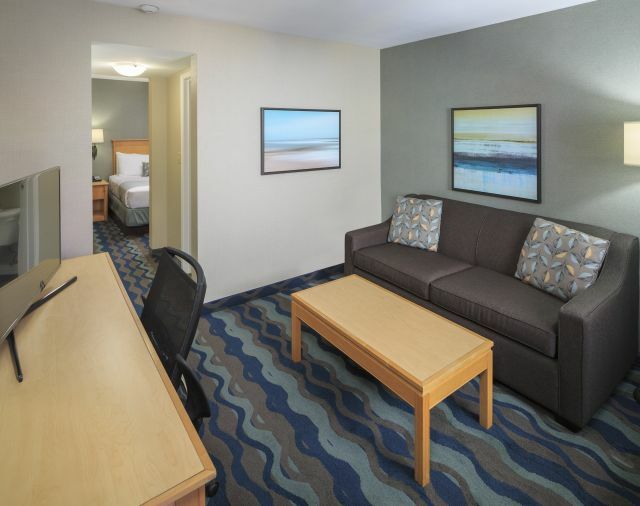 If you appreciate extra space to move and special design features, this is the room for you. *Full bath with separate vanity (designed so that a wheelchair can roll under), raised toilet, lowered towel bars, grab bars, hand-held shower (tub chair available upon request), and flashing-light alarm notification. 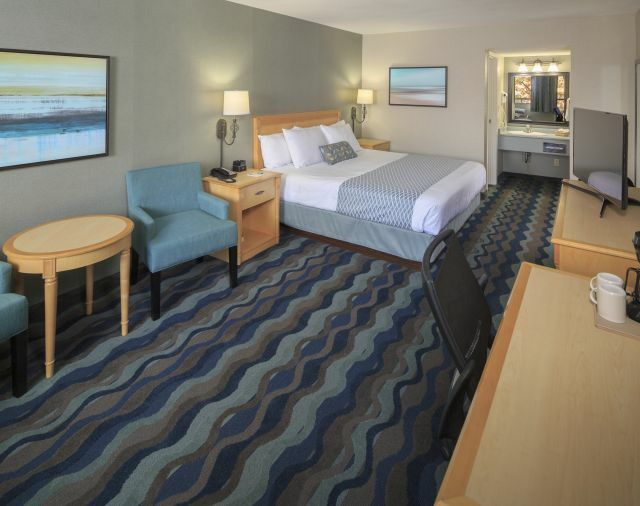 You’ll be on a roll when you book this spacious room with specially designed features. 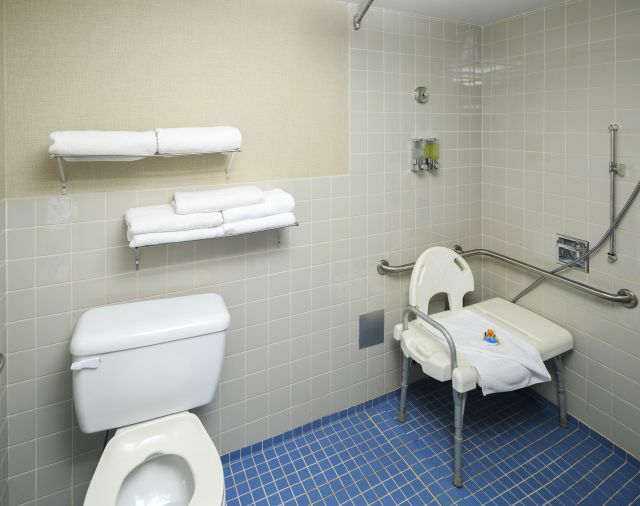 *Roll-in shower with separate vanity (designed so that a wheelchair can roll under), raised toilet, lowered towel bars, grab bars, hand-held shower (tub chair available upon request), and flashing-light alarm notification. 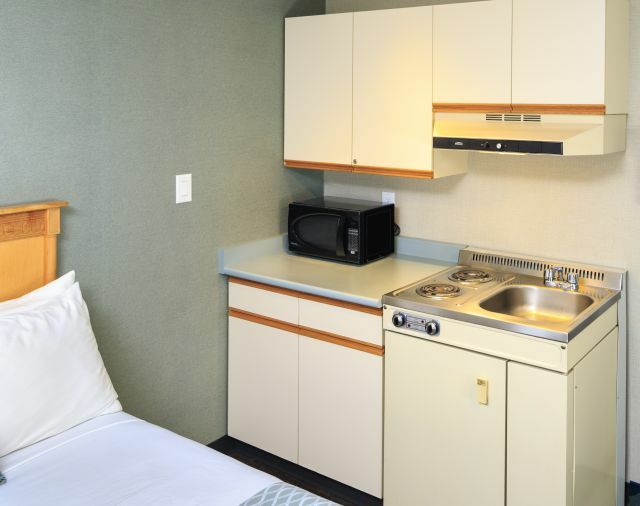 With a separate sofa bed and kitchenette, this room is great if you have company who want to cook for you. Everything you need for the family or for you and a golf buddy. Or any buddy. 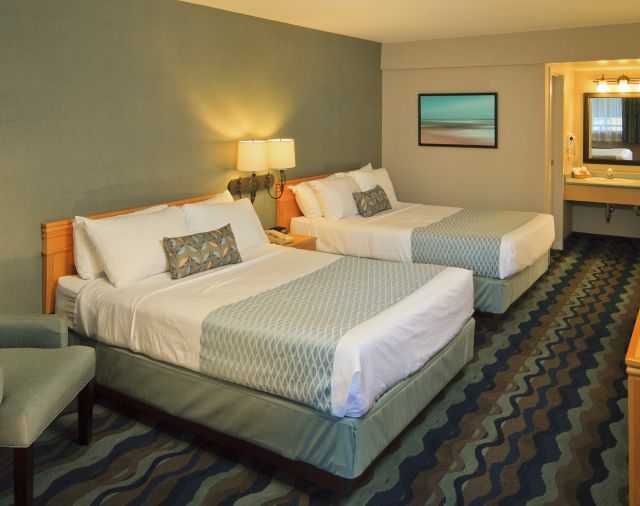 With its special design features and spaciousness, this room is fit for not one but two queens. 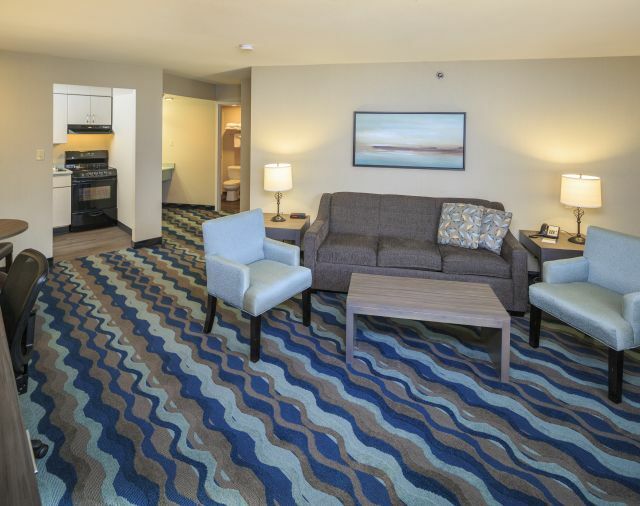 This spacious room is ideal for a couple of people who appreciate affordability and DIY cooking. 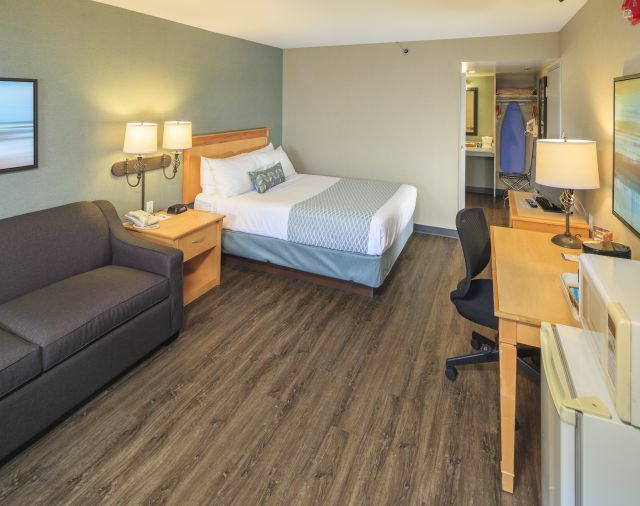 To provide assistance and a helping hand when you need it most, Accent Inns offers special medical and compassionate rates for a practical option during a difficult time. At Accent Inns, we welcome teams with open arms—well, not if you haven’t showered since the game, but you get the drift. 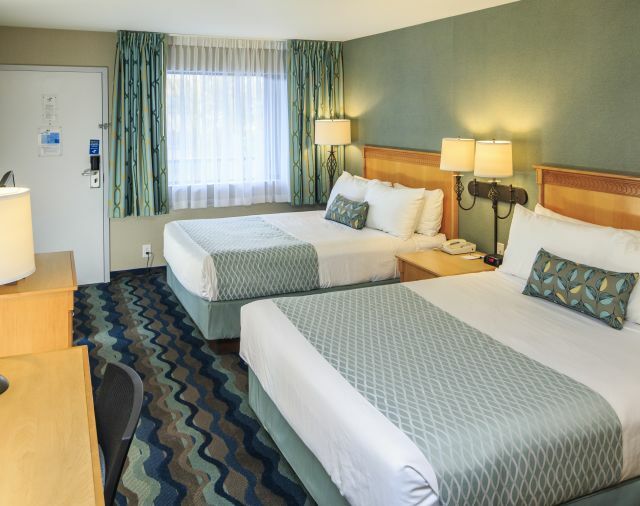 Take advantage of our team rates and frequent stay program.